Routine analysis of nucleic acids by gel electrophoresis and blotting. 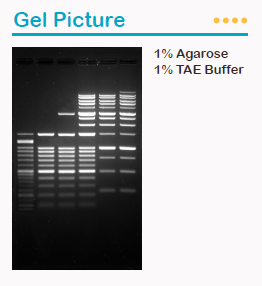 GeneDireX Agarose is ideal for size-based separation of nucleic acids in electrophoresis application. Each gel sharply resolves DNA and provides the consistent resolution from lot to lot. Its low EEO property enables high electrophoretic mobility of DNA. Its strong gel strength allows easy handling and less breakage. 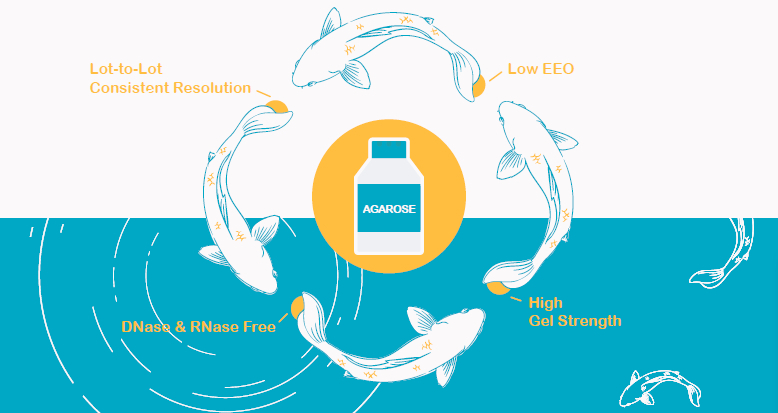 There are no detectable DNase and RNase activities.